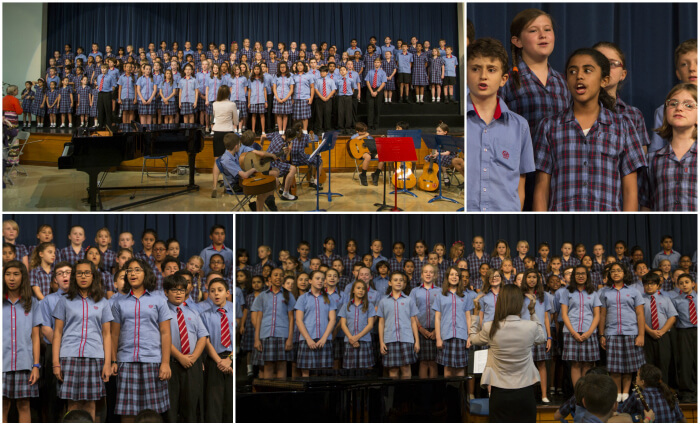 On Wednesday 13 May, the Junior and Senior School singers joined forces to create a mass performance of “Listen To Us” at the Summer Concert held at the Saar campus. The performance was a great success and provided students and teachers with an excellent opportunity to collaborate and perform together. The choir sang with fantastic enthusiasm and Mr Lewin was very impressed by the quality and volume of the singing. On Thursday 14 May, Mr Lewin visited the Senior School to work with the Pulse and Cantata singers. Each student took part in a recording session where they performed their part in front of a professional recording set up. The students were absolute stars and demonstrated excellent musicianship. They sang with confidence and were interested in speaking to Mr Lewin to find out more about his role within the Music industry. Following this success, the Junior School singers then also received the opportunity to experience a professional recording process. 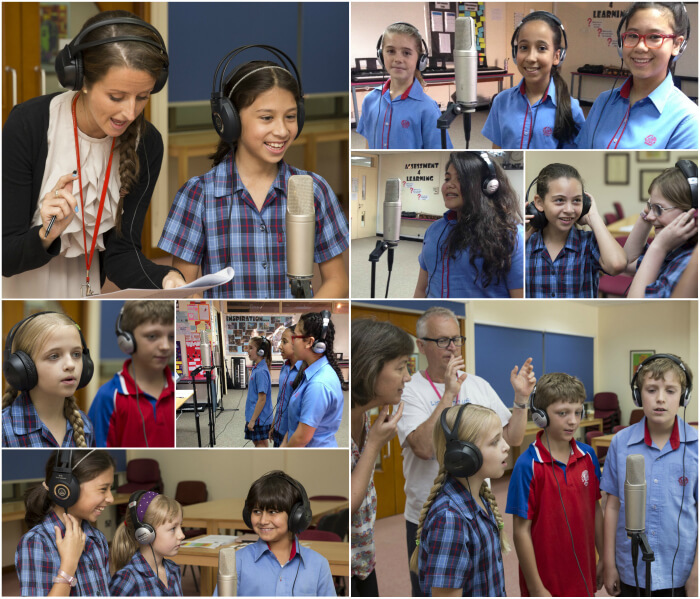 Singers from across Years 4, 5 and 6 met Mr Lewin and recorded their vocals for the project. All recordings will now be merged into a single mix that contains thousands of voices from other schools from around the world. The project includes singers from countries far and wide such as Australia, Argentina, the Caribbean, Canada, Nigeria, Botswana, Indonesia, Malaysia, India, China, Syria, Poland, Iceland, the UK, the US and many more! This is the second time during this academic year that St Christopher’s singers have been involved in the project. In September, Mr Lewin asked a small group of students to learn and record the song so that he could create ‘teaching tracks’. The students learnt all six parts of the song in a short space of time and took part in a recording session lead by Sixth Form Music student Rayan Bannaei. Mr Lewin used their recordings to create the ‘teaching tracks’ that have enabled schools without Music teachers or instruments to learn the song. Once again, the musicians at St Christopher’s have demonstrated remarkable dedication and commitment to the Music Department and to their School. Congratulations to all of those involved in the project!